Titanic E-Liquid is a registered trading name for New Creation Distributors Limited. Our aim is to provide a wide range of high quality, innovative vaping products. We have a wide range of the latest electronic cigarettes, tanks, accessories and e-liquid. These are available in the UK and Ireland through our dedicated e-commerce site and carefully selected retailers. How can I get involved with Titanic E-Liquid? There are various ways to contact us, via email, our new live chat service or just give us a call. Do you ever have vaping promotions? Yes, we have a different offer every week. This change on a Friday so check our Offers page often. Where can I find discount codes for Titanic E-Liquid? The most common place to find discount codes is through our Newsletter. How is my parcel delivered? 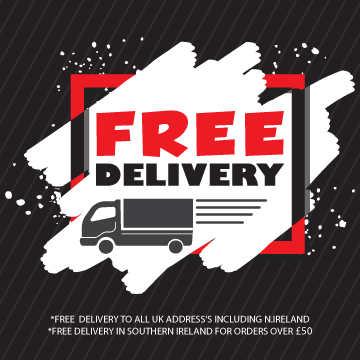 This will depend on the delivery option you have chosen, see our Delivery page for more information. My parcel hasn’t arrived when I thought it would, what can I do? You can check the Titanic ELiquid delivery times on our Delivery page, if your parcel has not been recieved after 10 working days, please email info@titaniceliquid.co.uk. Are there any countries you don’t deliver to? In a plain padded envelope, bag or box, with a return address on the sticker. I have heard vaping is safer than smoking, is that true? Public Health England recently released a study that found vaping 95% safer than smoking. But we still cannot say this for sure. Scientific studies are still on going and the outlook is good. Will vaping save me money? We calculate you can save up to £2600 a year by making the switch to vaping. Is passive smoking still a problem with vaping? There is no passive 'smoking' as what you are inhaling and exhaling is vapour. The most recent studies have shown that the risk of passive vaping is very low. Do you have an age restriction? Titanic Eliquid abides by a strict over 18 policy, by law we do not sell electronic cigarettes or any other vaping products to minors. An e-cig is an electrical device that vaporises e-liquid into an inhalable form. It is an alternative way to obtain the nicotine your body is craving. Made from three component parts; a rechargeable battery, a tank and an atomizer, easy enough for any adult to use and make the switch to vaping. Why are there so many different e-cigs available? The great thing about electronic cigarettes is the choice. Having such a wide range of e-cigs means you can mix and match and try new things until you find your ideal vaping set up. I’m new to vaping, what e-cigarette should I buy? This depends on a number of factors and personal preferences. Why not call our Customer Service team on 0800 779 7424 or speak to us on live chat, and we will be happy to guide you through your purchase. Variable voltage gives another level to your vaping experience by allowing you to control the amount of voltage being provided to your atomizer head. Variable voltage is a bit like a manual car, you need to adjust the voltage yourself depending on the resistance of your coil. When you change your coil for one of a different resistance, you will need to adjust the voltage again. Much like variable voltage, variable wattage allows you to control the amount of power being provided to your atomizer head. Where variable voltage is a manual car, variable wattage is your automatic. Whatever wattage you set your device to, it will automatically adjust the voltage for you depending on the resistance of atomizer installed. Preferred by many due to its ease of use. Using specifically designed coils you are able to set a target temperature on your TC e-cig in Fahrenheit or Celsius. Your atomizer coil is rapidly heated to your selected temperature, and by continuously monitoring the change in coil resistance which is caused by temperature change, the power applied to the coil is varied to keep your temperature constant. Previously the lack of temperature control meant that coils could surpass their preferred heat limit and fire much hotter than is ideal, with VT vaping the risk of this is drastically reduced. The ability to continue to vape your e-cig whilst it is on charge. An e-cig with a box shape. An e-cig with the ability to power atomizers below 1.0ohm resistance. Will an e-cig help me quit smoking? We do not promote e-cigs as a stop smoking device. They are an alternative way to get the nicotine that your body is craving. Can I use my e-cig whilst pregnant? Please consult your Doctor or Midwife. What is an atomizer head? An atomizer head contains the heating coil that takes power from the battery and vaporises your e-liquid. How long will my atomizer head last? This depends on the type of atomizer head, the settings you are using and how often you vape. Atomizers are classed as a consumable item and as such come with a dead on arrival warranty. They will not last forever and normally within a week or two will need replacing. This time is drastically reduced if they are being vaped at high powers or temperatures. There are a lot of different atomizer heads, why? To give people choice, some people want a higher resistance, others want nickel wire to use with a temperature control e-cigs. So much choice means versatility for vapers. How do I know when to change my atomizer head? Less vapour production, constant flooding and gurgling and a slightly burnt taste are all symptoms that you need to change your atomizer head. What is a sub-ohm atomizer head? An atomizer head with a coil resistance that is below 1.0ohm. Generally, sub-ohm atomizer heads produce more heat meaning more vapour and flavour production. Will my tank work on every e-cig? I’ve broken my tank, what should I do? The warranty does not cover accidental damage, it only covers manufacturers faults. Call our Customer Service team on: 0800 779 7924 or speak to us on live chat who will be able to help you choose a new one. Can I use every e-liquid in my tank? All of our e-liquids are safe to use in our tanks. We do not recommend using anyone else's e-liquid as we cannot guarantee the ingredients in them and therefore cannot warranty items with damage due to another company’s e-liquid. What is a built in battery? A built in e-cig battery means that it is not removable from the device. The e-cig has the battery sealed inside it, great for easy charging and maintenance. What is a removable battery? A battery that can be removed from your e-cig, meaning you can always have a spare charged with you. This depends on how much you vape, the settings used and the capacity of the battery. Will I ever need to replace my battery? Yes, no rechargeable battery will last forever. It has a charge cycle and once it's gone past that it can take longer to charge and won't hold that charge for as long. This is normally 300 charges, but this is only a general rule of thumb. What battery do I choose? This depends on what you want from your battery. What are the ingredients in your e-liquids? There are 3 ingredients in our e-liquids; diluent, nicotine and flavour concentrate. All pharmaceutical grade products are used in our liquids. Why is there a skull and crossbones on my bottle of e-liquid? Nicotine, in its rawest form, is classed a poison. In our e-liquid it is so diluted it poses no real risk. This is a difficult one to answer as each vaper is different. A general rule of thumb is if you are a new starter smoking 20 a day you should start around 1.8% (18mg/ml). If you start into sub-ohm vaping or variable voltage or wattage you might want to start lowering your nicotine strength. The best bet is to try a variety and see which suits you best. What flavour e-liquid should I use? Once again, this is personal preference. Some people will always stick to tobacco flavours so they have the complete sensation of smoking, others move away from tobacco flavours straight away. They go for some of the more exotic fruit or drink flavours or indeed go for the menthol favours. Yes, all our e-liquids are fully tested and backed by our Guarantee of E-liquid Excellence. How long will my e-liquid last? This depends on how much you vape and what settings you are using. Generally, a 10ml bottle of e-liquid will last a standard vaper 3 to 5 days. What’s the difference between each range of e-liquid? Each range of e-liquid has its own unique set of strengths, flavours and diluent ratios. Great for vapers who like to change their e-liquid often. What’s the difference between mg and %? These are essentially different ways to express the same thing. See our E-liquid Page for more information about each brand. What are the PG:VG ratios of each range? Why won’t my battery charge? Check your charger isn't damaged. Ensure you are using a designated e-cig plug adaptor or correct USB cable. Check to see if there is any external damage to the battery and make sure the charging points are clean and free of e-liquid. My tank is leaking, why? This is normally caused by drawing on the tank too hard. By doing this you will draw too much e-liquid into the atomizer that cannot be vaporised quickly enough, so it will just leave the tank. Take a slow steady draw between 3 and 5 seconds long to prevent this. Leaking tanks can also be a symptom of the atomizer reaching the end of its natural life, ensure this is replaced and primed then try again. Check that your settings are optimum for the atomizer head installed, ensure your atomizer head hasn’t reached the end of its natural life, if it has, replace it. Make sure your battery is fully charged and take a slow steady draw. Still not getting any vapour? Call our Customer Service team on: 0800 779 2924 or chat with us online they are happy to help. I have a burning taste, what should I do? This is either because you have the settings on your e-cig too high for the atomizer head installed, or your atomizer head needs replacing. Change your atomizer head for a new one, turn your settings down and, after priming the atomizer properly, try again. My atomizer is gurgling, why? This is your atomizer flooding. Don't draw too hard, change your atomizer if it has been in for a considerable length of time and don't overfill your tank. I am getting e-liquid in my mouth, what can I do? A lot of the time this is not actually e-liquid but condensation. This can build up inside the mouthpiece, just give inside a wipe with some paper towel. If your atomizer is spitting and you are actually getting e-liquid up through the mouthpiece, try turning your settings down to power less heat through the atomizer head. Your atomizer is receiving power from a battery, it is working hard to vaporise your e-liquid. It will get warm and what some would class as hot, especially if you are vaping it continuously. If you notice the atomizer getting warm just put it to one side to cool for a moment before vaping again. My charger has stopped working, do I need to replace it? Ensure the contacts on your charger are clean, make sure there is no e-liquid on any parts of the charger. My battery is getting hot, why? Your battery will get warm when charging and with constant use. It should never be too hot to touch. I am confused by the settings on my e-cig, which are best to use? This depends on what you prefer and also what atomizer head is installed. Ensure you have read your user manual for the device and if you are still struggling, speak to our helpful Customer Service advisors on 0800 779 7924. Please Note: You must be 18 years of age, to purchase any of our products. Titanic e Liquid reserves the right to cancel any transaction where it reasonably believes the purchaser is not of the required legal age or purchasing products on behalf of a minor. Titanic E-Liquid makes no claims that using an electronic cigarette will cure a smoker's addiction to nicotine. Using an electronic should be seen as an alternative to smoking as it will deliver nicotine to the user. We are not a pharmaceutical company and we do not produce medical products.